Simplicity and comfort for relaxing, carefree holidays. 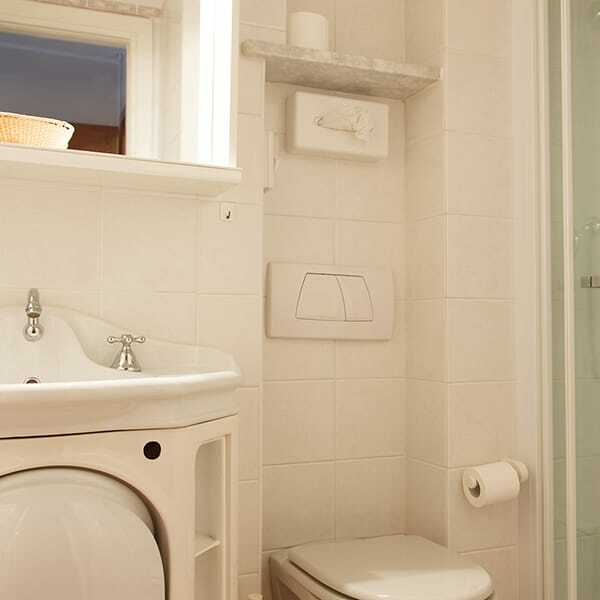 Known as Rosa Bianca (White Rose), these rooms are ideal for those who love simplicity without sacrificing comfort. From 15 square meters of the double to 23 square meters of the family rooms in size and all equipped with ceiling-mounted ventilation systems, the Rosa Bianca rooms can accommodate from 1 people in single room up to four people in family rooms. 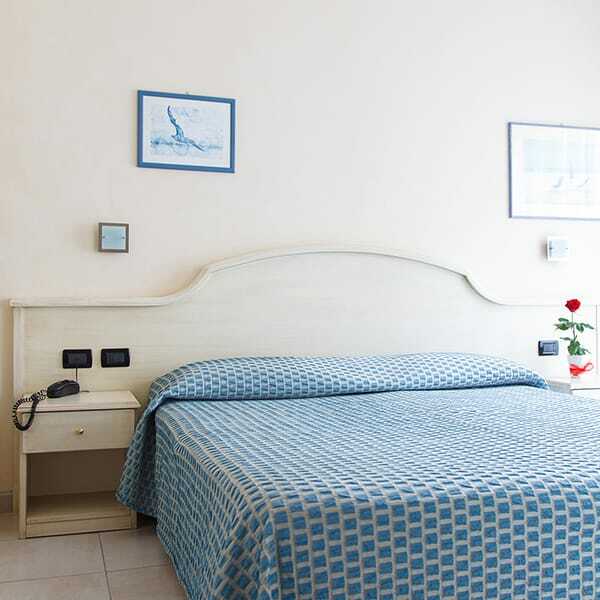 The single rooms have a single bed and are equipped as the other with all the comforts, measuring about 11 square meters and facing the south side of the entrance. Suites and Junior Suites: infinite solutions for a stay designed around you. Elegant and refined, the Rosa Blu (Blue Rose) rooms come with an LCD SAT TV and, in some cases, a sofa. 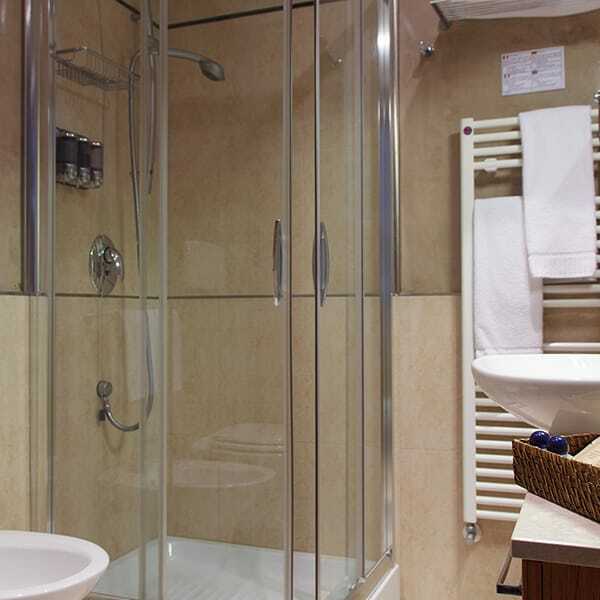 Ranging from 12 square meters of the double to 24 square meters of the family, the rooms are suitable for both individuals and families of up to four people. 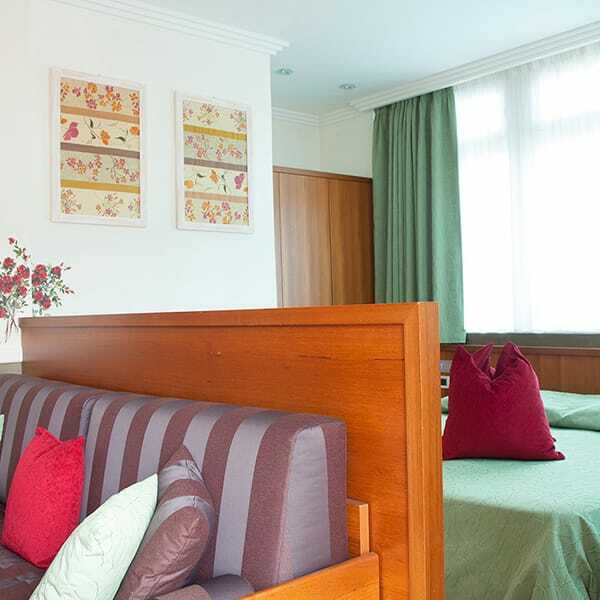 This category has also three Suite consists of: a corridor with a large bathroom with tub, double bedroom with balcony and a slide separates the bedroom from a sitting area with two sofa beds and a balcony; two Junior Suites consist of hallway, bathroom with shower, on the left living room with sofa bunk bed, TV and window, right double room with balcony and TV three Suites and two Junior Suites are also available. 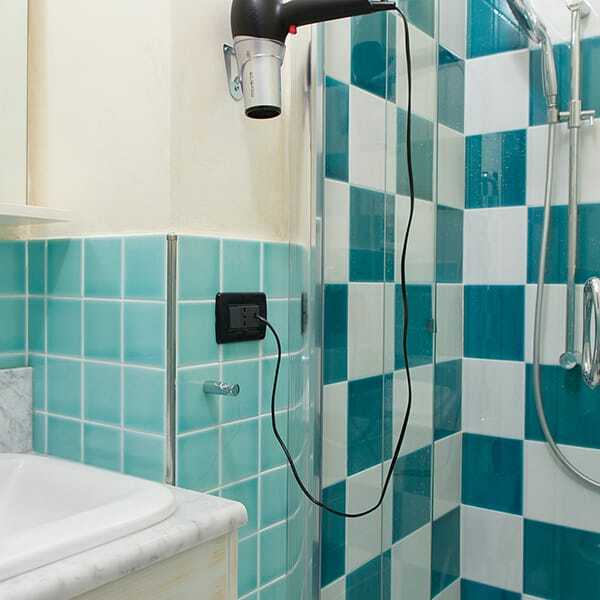 The single rooms have a french bed, feature as other all amenities, measuring about 13 square meters and facing north on the garden side and have recently construction. Sea view upon request. 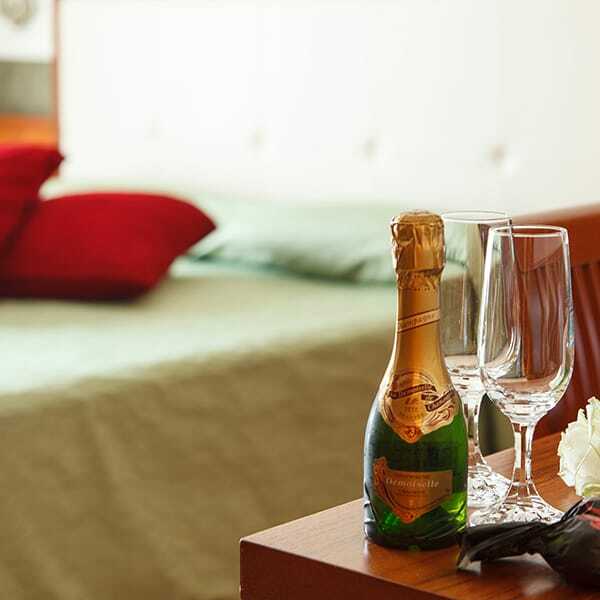 Designed for those who want to enjoy a holiday in true luxury and comfort, the Rosa Rossa (Red Rose) rooms are characterised by high quality decor. With room sizes ranging from 19 square meters to 22 square meters, they can accommodate up to four people, come equipped with an LCD satellite TV, a sofa bunk beds and a minibar, and all have elegant and refined bathrooms with courtesy set. Two glasses of champagne and a sweet treat welcome guests upon arrival. A large glass door leads to a balcony with tables and chairs. Two Red Rose have a view of the hills from which the evening you can admire the beautiful villages illuminated and two have side sea view.